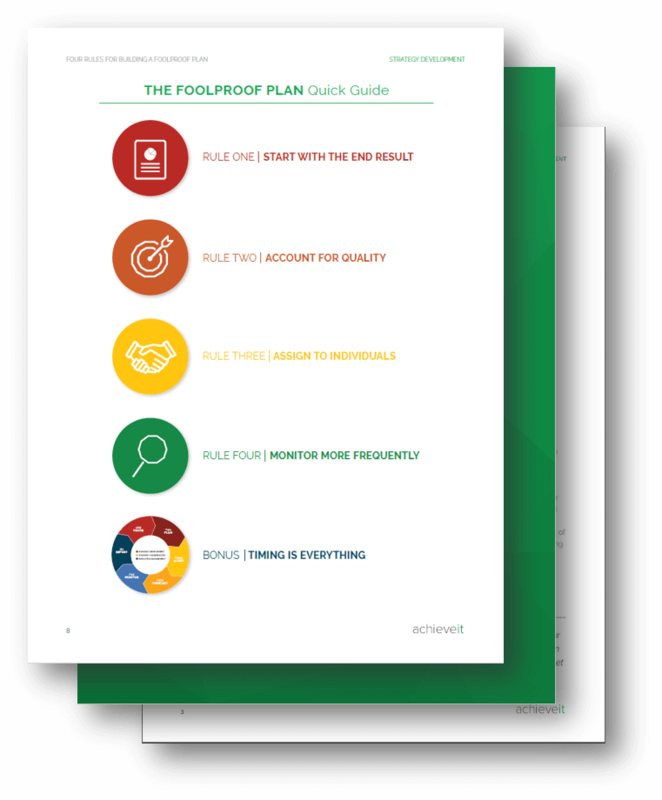 Download this white paper, Four Rules for a Foolproof Strategic Plan, to understand the primary causes of plan failure and how to avoid them within your organization. Most organizations today develop some sort of operational or strategic plan with the intention of achieving results. However, the vast majority of those plans fail to produce their desired outcomes, and organizations often can’t identify where they’re going wrong.